To suggest a policy you would like to see adopted by 5PM, please submit your proposal using the form at the bottom of the page. 5PM is a democratic movement based on the five principles of democracy, equality, opportunity, freedom and family. Our foundational policies flow from those – the full list including one law for all, binding citizens’ referenda, and lower taxes, can be seen HERE. 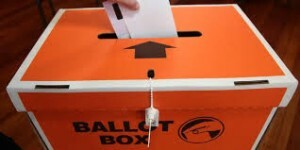 Unlike political parties, there is no hierarchical rule – policies that cover other aspects of life in New Zealand are not dictated from on high. So how does 5PM establish other policies to supplement its core 5 principles? By abiding by our democratic principles. Those registered as 5PM supporters can vote online either for or against policy proposals – to register, click HERE. You can see the new policies adopted through our Voting Booth process by scrolling down to the bottom of the Policies page. Only registered 5PM supporters can vote for policy proposals. Policy proposals must be consistent with the 5PM principles.To become policy, 50% of members must vote in favour of the proposition. There are no policy proposals at the present time. All 5PM policies can be seen on the POLICY page HERE. Yes No - I will register first then come back!